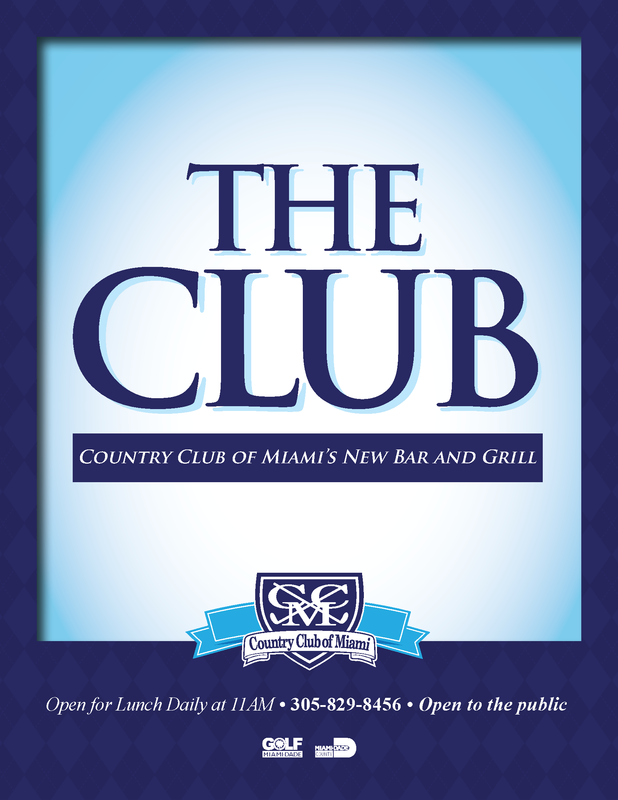 Come experience the Club Bar & Grill Restaurant at the Country Club of Miami, 6801 NW 186th Street in Miami Gardens. 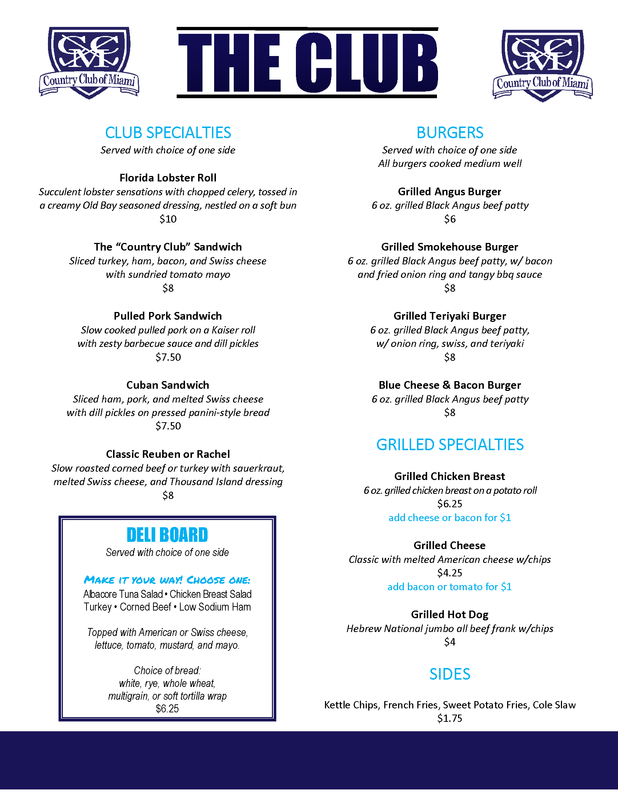 The Club Bar & Grill is the newest feature at the Country Club of Miami. Since the beginning, it has been a popular eatery for golf patrons, area residents and businesses. “The Club” is open from 11 am – 7 pm daily. 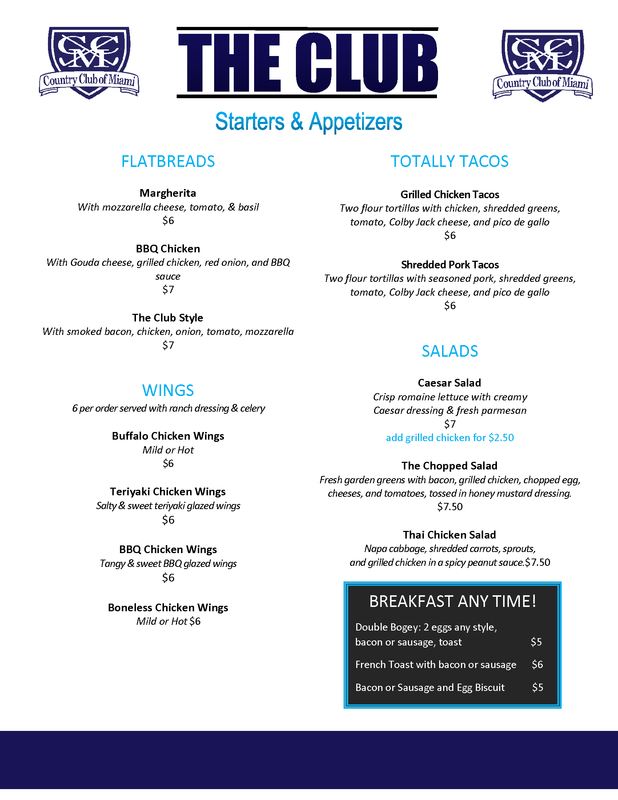 The menu features a wide variety of burgers, specialty sandwiches, flatbread pizzas, and their signature item, the Florida Lobster Roll. 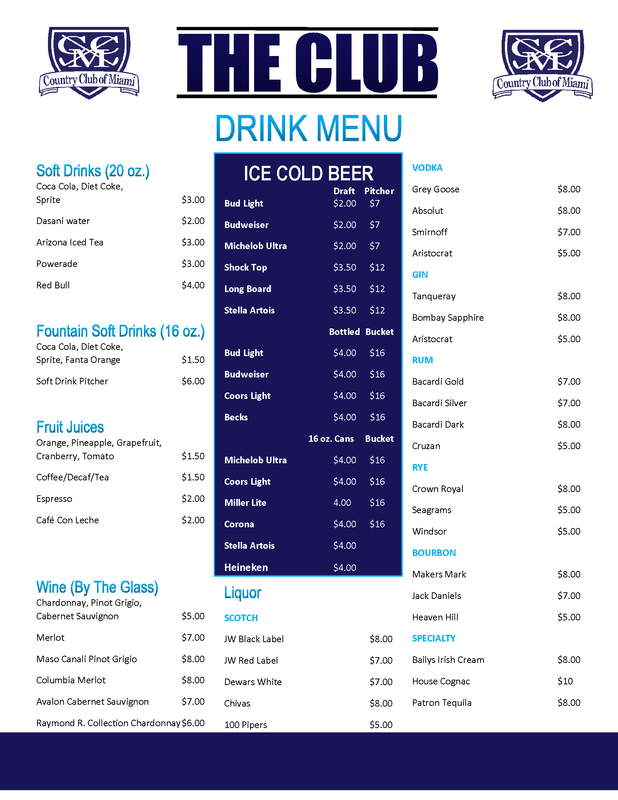 Ice cold draft beer, and full bar selections are available while you can watch your favorite sporting event on the multiple 50-inch flat screens strategically placed for your pleasure. Adjacent to the The Club Bar & Grill is the Gleason Room Banquet and Catering Facility which is available for tournament breakfast’s lunches & dinners, weddings, meetings and special events. We can spaciously seat up to 200 guests. A covered patio is also available and is the perfect venue for outdoor events and BBQ’s! Come and check out The Club!